Graduation is an exciting time in a young person’s life, whether you’re celebrating a high school or college graduation. If you’re thinking of planning a graduation party for someone graduating high school or college, here are some party ideas from choosing a venue to planning a menu. When it comes to the venue, many graduation parties are held at home, especially for high school graduates. If you’re hosting a party at your home, be sure to include your graduate in the party preparation decisions. The point of the celebration is to provide your graduate, their friends, and classmates the chance to enjoy one last event together, say goodbye to one another, and make memories to carry with them when they move on to the next stage of life, so it should include the food, guests, and activities that are important to the graduate. Include a guestbook for partygoers to sign and leave the graduate their well wishes for the future, and display a large poster board for guests to offer the new graduate advice for post-high school or post-college life. When you compile the guest list, be sure to get your graduate’s input before you send out the invitations. Choose a style that reflects the right style and mood you want to invoke. You can narrow down the choices but let the guest of honor have the final say for their party invitations. Check with other parents when deciding on a date, so that your party will compete with as few other classmates' parties as possible, allowing students to attend multiple celebrations. Friends will most likely be traveling from party to party, no matter what day you decide upon. Your best bet is to plan for an open house type of event, since your home may be one of many hosting parties the same day. If you plan to hold your party outdoors, be sure to check the weather forecast, and be prepared with an alternate venue in case of inclement weather. Themes for graduation parties run the gamut from casual to formal, and the menu can be anything from barbeque to buffet to finger sandwiches. It all depends on what works for the one graduating and for you, the host. Dress code for a casual party can entail tee shirts, shorts, and sandals, or focus on a specific theme such as a day at the beach, or a Hawaiian luau with guests arriving in tropical attire and sunglasses. A formal party can mean linen tablecloths and napkins, china, elegant place cards, floral centerpieces at individual tables, and an invitation for guests to wear their best. You can also build a theme around the college your student will attend, or the career path they intend to follow. Do you have a budding actor, actress, or film director? Have fun with a Hollywood themed party. Is there a mathematician in the family? Hand out horn-rimmed glasses and mini calculators as party favors, and display menus on clipboards. Does your student plan on a medical career? Think stethoscopes, lab coats, and faux prescription pads. Is journalism their thing? Pens and journals or notepads would be appropriate party accessories. Again, get your graduate involved in planning the details of the party, and it will be much more enjoyable for them. Many graduating high school senior classes compile videos featuring students participating in various activities at different events throughout their final year of school. 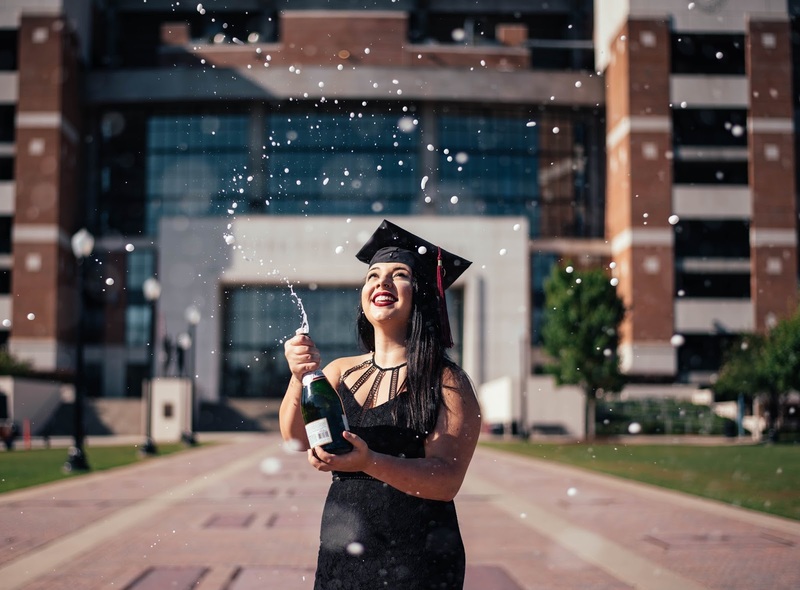 Putting together a video of your graduate’s life through the years can be fun and entertaining for guests at the party, just be sure to check with your student to ensure you don’t unintentionally embarrass them with a certain photo or video clip. For a simpler version of a “this is your life” display, you can create a timeline using school photos of your graduate from kindergarten through high school to hang up at the party. You don’t need to be a professional event planner to execute a fun, memorable graduation party. Graduations don’t happen every day, and graduation parties are an occasion where friends and family can gather to celebrate and share memories. Plan your party ahead of time and allow yourself the freedom to indulge in the festivities along with everyone else. We hope these graduation party planning tips will help you on your way to making memories that your graduate will appreciate, and which will last for a lifetime.